When I was a young girl, lent was my favorite season of the year. I loved it even more than Christmas. I was in awe of the fervor that people showed during this time of the year, which was intended to be a time of prayer and reflection before Easter. I liked lent because I’ve always been a person who reflects on things, maybe a little too much. Or maybe I liked it because it usually fell on my birthday month, which is my favorite time of the year. But lent was also special because on Fridays we ate no meat. Our Fridays were meatless because during lent, we were supposed to make sacrifices and abstain from luxury items, and meat and chicken were considered luxurious. So growing up, my grandmother would cook a variety of vegetarian or fish dishes that would go along with the tradition. Since this week is Holy Week, on Good Friday we will be fasting and abstaining from eating meat. In the meantime, here’s a peek into some my mom’s lenten meals that she made for me while I visited her, including capirotada. The first dish is called caldo largo, and it is a seafood soup with vegetables. 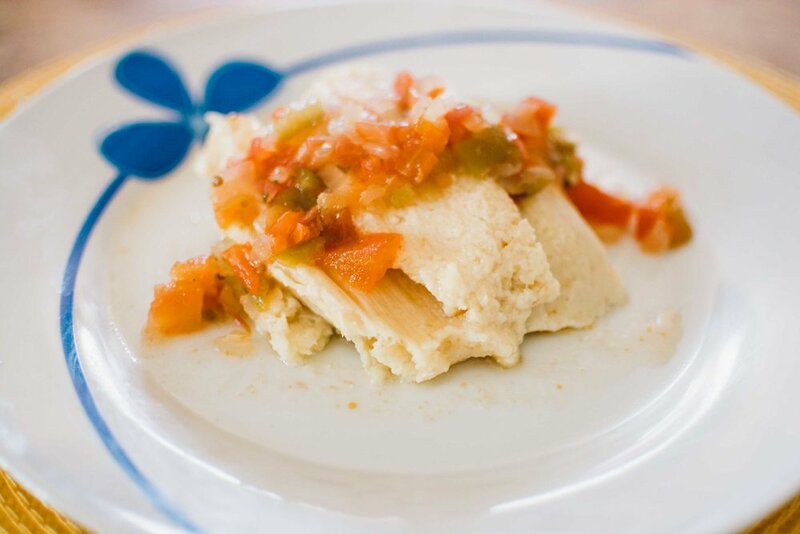 Below, you'll find homemade corn tamales. My mom ground up the corn using a corn grinder, seasoned it and wrapped the mixture in cornhusks. 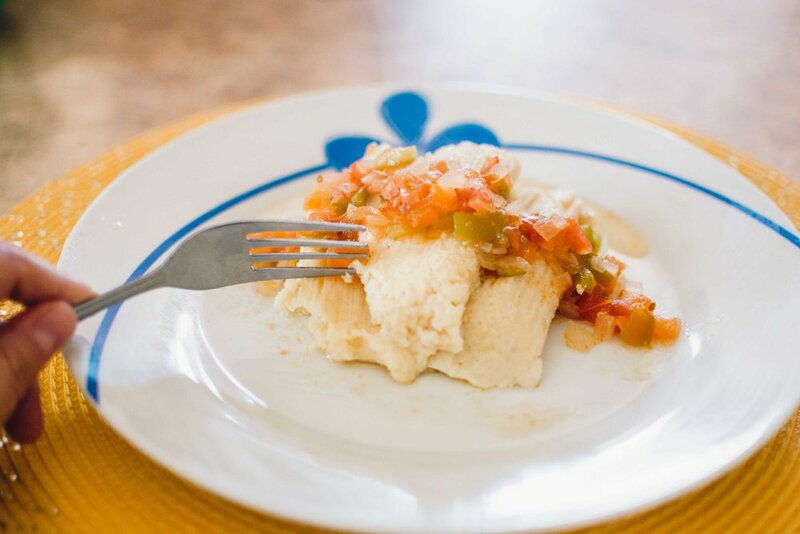 Capirotada is a popular dish that is prepared only during lent in Mexico. It is similar to a bread pudding, and it is a staple in many Mexican households, particularly on Fridays. According to Yvette, from Muy Bueno Cooking, “the bread is for the Body of Christ, the syrup is his blood, the cloves are the nails on the cross, the cinnamon sticks symbolize the wooden cross, and the melted cheese stands for the Holy Shroud. My mom made her capirotada using wheat toast, dried fruit and nuts, and she smothered the mixture with maizena (sweetened corn starch). For a great capirotada recipe, go here. The one my mom made is usually called capirotada blanca, since it is made with corn starch. Capirotada blanca is my favorite, although capirotada in general is delicious. Every time I visit my childhood home, I am reminded of all the beliefs that have shaped me into who I am today. And even though I don’t follow tradition as strictly as I used to, I think there is a part of me that remains very religious, but in a much broader sense.